Defenseman Adam Pardy has signed a contract with the Winnipeg Jets. TSN's Darren Dreger reports it's a one-year, one-way deal worth $600,000. Pardy spent 2012-13 with the Buffalo Sabres after being acquired from the Dallas Stars in a trade last summer. He played in 17 games and finished the season with no goals and four assists. The St. Louis Blues added depth to their blue line Saturday as they signed defenseman Kent Huskins to a one-year contract. Huskins, 32, played in 50 games for the San Jose Sharks last season, tallying 10 points (2 goals, 8 assists) along with 12 penalty minutes. The 6-foot-4, 210-pounder also posted a plus-8 rating -- his fourth consecutive season of being a plus player (plus-43). The Calgary Flames on Monday signed veteran center Brendan Morrison to a contract. Terms of the deal were not released, but the Vancouver Province is reporting it's a one-year, $750,000 deal. With centers Matt Stajan and Daymond Langkow currently injured, the signing bolsters the Flames' depth down the middle. Morrison had been in camp with the Canucks on a tryout before being released Sunday. He had spent seven seasons in Vancouver (2000-08), teaming with Todd Bertuzzi and Markus Naslund to form one of the League's flashier lines during the early part of the decade. Last season, he had 12 goals and 42 points with the Washington Capitals, but just 1 assist in five Stanley Cup Playoff games. Left wing Ruslan Fedotenko, who had been with the New York Rangers on a tryout contract, has signed with the team for the 2010-11 season. Terms of the deal were not released, but according to Newsday, it's a one-year, $1 million contract. Fedotenko led the Rangers in preseason scoring with 7 points in five games. He also had a plus-5 rating. Fedotenko is coming off the worst season of his NHL career in 2009-10, when he had just 11 goals, 30 points and a minus-17 rating in 80 games with the Pittsburgh Penguins. In nine years of existence, the Minnesota Wild has had just 10 goaltenders start a game. That includes four that played a game last year. Goaltending has always been a strength for the young franchise, because it always featured an experienced and talented tandem. Manny Fernandez and Dwayne Roloson. Fernandez and Niklas Backstrom. Backstrom and Josh Harding. Today, the Wild's goaltending tandem looks formidable again. The Wild lost Harding to a devastating knee injury early in the preseason, but picked up the owner of a Hart and Vezina trophy, and the winner of 30 games in 47 appearances last year with Washington. Forward Matt Hendricks, who had been invited to training camp with the Washington Capitals on a tryout basis, signed a one-year contract with the team Monday, the terms of which were not disclosed. Hendricks, who totaled 9 goals, 16 points and 74 penalty minutes in 56 games for Colorado last season, recorded a hat trick in Washington's 6-2 preseason win over Columbus. The Carolina Hurricanes have signed center Patrick O'Sullivan to a one-year, two-way contract. The Hurricanes said the deal will pay O'Sullivan $600,000 on the NHL level or $105,000 on the American Hockey League (AHL) level during the 2010-11 season. "Patrick had a little bit of an off year with Edmonton last season, but is still young and very skilled," Hurricanes General Manager Jim Rutherford said. "He scored 20 goals just a few seasons ago, and has the ability to reach that mark again. Patrick will be in competition for a spot on our NHL roster during training camp." 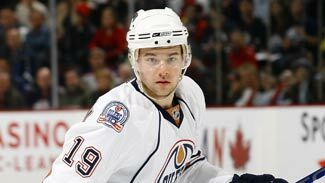 O'Sullivan, 25, scored 11 goals and earned 23 assists in 73 games for Edmonton in 2009-10, ranking fifth among Oilers in scoring and tied for fifth in assists. He was tied for first on the team in game-winning goals (3) and connected on four of 11 shootout attempts. The Ducks have confirmed they have signed defenseman Paul Mara to a one-year contract. Per club policy, no financial terms of the deal were disclosed. Mara, 31 (9/7/79), appeared in 42 games for the Montreal Canadiens last season, collecting 0-8=8 points with 48 penalty minutes (PIM). He suffered a shoulder injury on Jan. 22 at New Jersey and subsequently missed the final 30 games of the regular season. In 2008-09 with the New York Rangers, Mara recorded 5-16=21 points in 76 contests, ranking fourth among club defensemen in points. 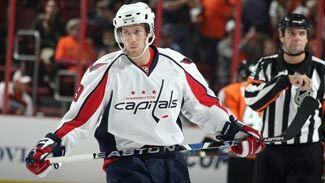 He appeared in his 600th career NHL contest on Dec. 23, 2008 vs. the Washington Capitals. A native of Ridgewood, NJ, Mara has earned 63-184=247 points with 688 PIM in 681 career contests with Tampa Bay, Phoenix, Boston, the NY Rangers and Montreal. In addition, Mara has appeared in 32 Stanley Cup Playoff contests, collecting 3-4=7 points. The 6-4, 212-pound blueliner set career highs in both goals and points with 15-32=47 in 78 regular season contests with Phoenix in 2005-06. Mara led Coyotes defensemen in goals, power play goals (8) and shots on goal (157) that season. His 15 goals on the season marked the most by a Winnipeg/Phoenix defenseman since the 1992-93 season (Olausson, 16). Mara set career highs for appearances (81) and assists (36) during the 2003-04 campaign with Phoenix. With training camp opening Friday, the Dallas Stars took care of some last-minute business, agreeing to new contracts with a pair of restricted free agents. Left wing James Neal signed a two-year, $5.75 million contract. The deal will see Neal, 23, earn $2.25 million this season and $3.5 million in 2011-12. Defenseman Matt Niskanen agreed to a two-year, $3 million deal. He'll make $1.25 million this season, $1.75 million next season.